By Jenni . April 13, 2018 . 7:16pm Sega has announced a micro-console along the lines of the NES Classic Edition and Super NES Classic Edition at Sega Fes 2018. It is developing a Mega Drive Mini. (The name is tentative. By Jenni . April 13, 2018 . 7:39pm During the Sega Fes 2018 presentation, a new entry in the Sakura Wars series was announced. It was referred to as Shin Sakura Taisen. No platforms or release window was announced. By Jenni . April 13, 2018 . 6:59pm Shenmue is returning. 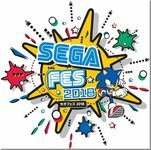 Sega announced Shenmue I & II at Sega Fes 2018. It will appear on the PlayStation 4 in Japan, but will come to the PlayStation 4, Xbox One and PC worldwide. Back in 2014, a tabloid named Female Seven ran a story about how Amuro Namie was having an affair with a promoter, claimed said promoter got her to leave Vision Factory, and that he was a leader of a religious cult that may have brainwashed her. New Future Card Buddyfight Anime Series will Premiere Soon! By Jenni . April 13, 2018 . 6:51pm During its Sega Fes 2018, Sega announced it is bringing Sega Ages to the Nintendo Switch. This will be a collection of over 15 titles. Titles in the series will start to be available to download in Summer 2018. © Naoko Kurono / Mag Garden · PEACE MAKER Iron Production Committee © Kurano Nanae / Mag Garden The upcoming Peacemaker Kurogane film has been interesting to watch on how its changed since it was first announced. Fans of the anime Cowboy Bebop will jump at the chance to enter the world of their favorite 1990s anime TV series at two real-world locations in Japan. Making us feel somewhat old, Sunrise's Cowboy Bebop is now 20 years old. Sega has a big weekend ahead with Sega Fes 2018 that runs from April 14-15. While the event takes place in Japan, its official Twitter account is telling fans from the West to tune in for a special announcement. My Hero One's Justice western title confirmed, trailer and fact sheet Western box shots also released. My Hero Academia: One's Justice will be called My Hero One's Justice outside of Japan, Bandai Namco Entertainment America and Europe announced. The previously Switch-exclusive Super Bomberman R is headed to PS4, Xbox One, and PC, and it is bringing platform-exclusive characters for the new version in Ratchet & Clank, Master Chief, and P-body Bombers. © Yukiya Murasaki / Kodansha The recently announced anime adaptation of the How NOT to Summon a Demon Lord light novels has a little more for fans to sink their teeth into today with an international push. This is a Katsu News archive page. It shows how the site appeared at April 14, 2018, 11:00 PM JST.